Technic Bronzing Bronzed BeautySPEND - Save £1! 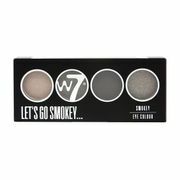 W7 around London Town Gift Set - Save £3! Fragrance Direct is launched in 1993 and is one of the leading beauty retailers in the UK. The company offers a full range of beauty products stocking over 14,000 items for 600 big name brands, designer labels and high street favourites. Their collection includes fragrances, makeup skincare and a haircare essential, along with a wide variety of gift sets. The company started out offering just fragrance on the market and has developed to cater the needs of their valued customers by expanding their range and sourced out beauty products they are looking for. Fragrance Direct follows trends, provides luxury brands and ensuring they are focused on socking on their customer’s essential beauty needs. Their website fragrancedirect.co.uk provides an easy shopping experience by offering you favourite beauty brands for less. They also have sale of up to 80% on select product as well as offers like half price on fragrances and a free gift with purchase. If you want more savings on your favourite beauty products, browse through latestdeals.co.uk for exclusive fragrancedirect.co.uk voucher codes and coupon codes shared by our massive community of bargain hunters. What does Fragrance Direct sell? You can be sure to find exactly what you’re looking for at amazing discounted prices! If you’re after that new scent from your favourite designer and would like to save money at the same time, you’re in the right place. Because Fragrance Direct only offers amazing discounted prices on the latest perfumes and new aftershaves from the biggest brands, helping you to smell and look gorgeous for an enviable price tag, all year long. You can get hold of new fragrances from big designer names like Calvin Klein, Armani, Dolce & Gabbana, Marc Jacobs, and Givenchy, and smell sensational every day of the week. Or shop their full beauty collection for must-have haircare and skincare products for even less. Have a peek at our latest new brands and great prices and treat yourself in just a few clicks. Treating yourself and saving money while you’re at it is always easy with Fragrance Direct. They specialise in selling the best brands at perfect prices, making your favourite perfumes, aftershaves and beauty products especially affordable, every day of the week, and all year round. In fact, when you shop with them, you could save up to a scene-stealing 80%. Shop their wide range of fragrances, skincare, make up, sun and tanning, gifts and hair care products now at even lower prices. Treat yourself to something luxurious or stock up on those every day essentials and you can be sure you're getting a bargain! Have a browse and find top brands including Calvin Klein, Hugo Boss and Gucci! How do I contact Fragrance Direct? You may also email them at help@fragrancedirect.co.uk. For questions and general enquiries you may read their full FAQs page. What are the delivery options for Fragrance Direct? Orders being shipped via Standard Tracked Delivery and Express Tracked Delivery will be delivered by Royal Mail. Your tracking number will be available in the My Account section on the website. All orders are tracked, insured and have a guaranteed delivery day. If you request next day delivery Friday - Sunday, on an English Bank Holiday or after 2pm it will be dispatched by next day delivery the next available working day. £1.99, FREE for orders over £20. 5 to 7 working days from date of dispatch. £2.99, 2 to 4 working days from date of dispatch. £5.99, next working day if placed before 2pm. Rates are automatically applied at the checkout. Unfortunately, due to strict regulations introduced by the CAA (Civil Aviation Authority) they are unable to send all goods via Airmail, orders that we are unable to send via Airmail will be sent via land, some Country restrictions may apply. If your order does not contain any items classified as dangerous goods you will be given the Airmail option. For rates and delivery times from the date of dispatch for your country, read their full Delivery page. £6.99, 3 to 5 working days from dispatch. For the list of countries that requires Airmail Only, read their full Delivery page. 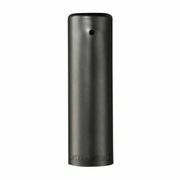 How do I return an item to Fragrance Direct? If you receive any items which are faulty or damaged you return the items within 90 days and they can either offer a refund or replacement. At the discretion of our management, they may require photographical evidence to support claims for damages. If you wish to cancel your order you have to notify Fragrance Direct in writing or by email within 14 days and return all goods in original condition. You can return items to them for FREE in the UK, using Local Collect, simply follow the instructions on the Royal Mail Local Collect system. Alternatively you can use Royal Mail 1st or 2nd Class and your returns costs will be refunded. Please ensure that you obtain proof of posting as items being returned are the responsibility of the customer until the items reach their offices. For further details, read their full Returns Policy page. Check out their range of Gift Guide videos, featuring some of our favourite Beauty Vloggers! Get inspired for every occasion and find the perfect gift for yourself or a loved one.